Sondering Soul: When Did Fear Begin Ruling My Life? When Did Fear Begin Ruling My Life? 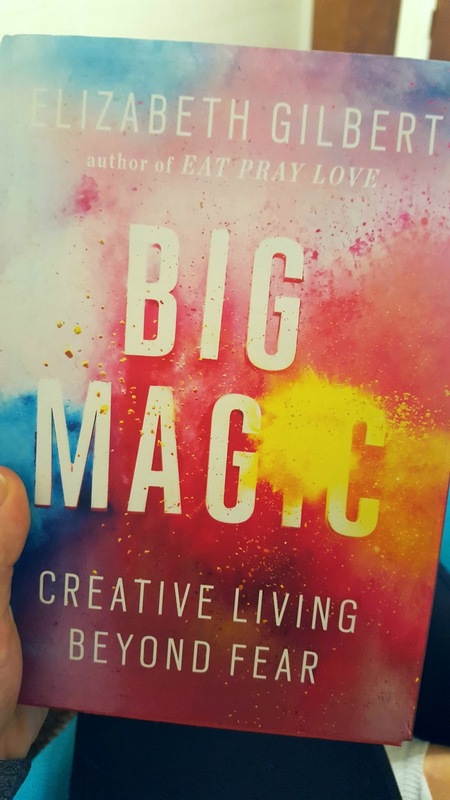 As I mentioned in my last post, I recently picked up "Big Magic" by Elizabeth Gilbert. Third of all--okay, I should stop, but do you get my point? This book is insane in the best way possible. I've underlined so many paragraphs and reread so many sentences I can't keep track of what I like the most. I feel like Elizabeth Gilbert is speaking directly to my soul. One thing that struck me the most was when she began talking about fear. Elizabeth (is it okay that I call her Elizabeth? I'd like to pretend that we're best friends) said when she was young, she was afraid of everything. She was cautious and nervous and constantly worried about what could go wrong. It wasn't until she was older that she was able to break out of that boundary and pursue the amazing life she has now. That made me think of my childhood and I realized my situation is the complete opposite of Elizabeth's: when I was a child, I was fearless. Sure, I was shy around new people and didn't like being away from my parents, but my childhood memories consist of sprinting barefoot through grassy fields and hunting for snakes in the bushes. As I child I remember being free. Now I'm afraid of everything. I worry about what people think of me and what could go wrong and why all my ideas are bad. Fear rules my life more than I admit. When did I turn from a free spirit to a nervous wreck? I don't know if I can sit here and say I'll never let fear get in the way again, because especially with my anxiety I know that's just not true. But I can say I'll try. I can say I'll do my best to be aware of my fear, and ask it to leave when I know it's holding me back. I think that's really all we can do.